The last thing that any driver wants is to have something go wrong with their car while they’re driving, but it’s an issue that does happen. While a smoking engine will mean that you have no choice but to pull over, that isn’t the only issue that should make you think about stopping your car. 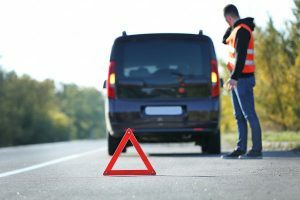 In this article, we’ll take a look at some of those problems, so that next time you’re on the road, and you notice one of the following, you’ll know it’s time to pull over and call roadside emergency towing. When your check engine light comes on, you need to pull over to find out what’s wrong- it’s as simple as that. Many of us are guilty of just ignoring the light, but it’s there for a reason. Sure, it could be a tiny issue like a loose gas cap coming off, but even then, it’s a problem that needs to be resolved before it’s safe for you to drive. Most drivers get to know how their vehicle handles exceptionally well, so you’ll almost certainly notice even the slightest change. If your steering wheel starts to feel different, or if it starts shaking, then your best bet is to stop the car and see if something’s up. 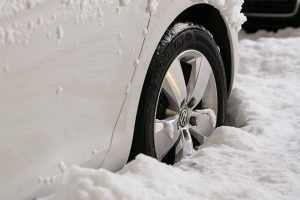 A change in handling can be caused by the road surface conditions, but it could also point to a serious problem, like a flat tire or loose wheel. If that’s the case, then you’ll need roadside emergency towing. If you suddenly hear a loud noise that seems to come from your car while driving, then it’s best to be on the safe side and pull over. It might well be that you’ve driven over some trash on the road, but it could just as easily point toward a serious issue with your engine. 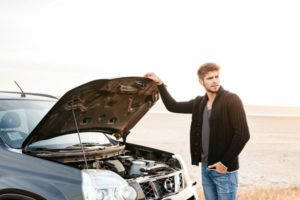 It’s always better to be safe than sorry, so be sure to pull over at the side of the road, pop the hood open, and check if there’s anything amiss. If there is, then don’t carry on driving with a defect in your car- instead, call the experts to bring your car in for a service. When in need of roadside emergency towing, contact Unlimited Recovery at 919-790-9393. So many things can go wrong while driving regardless of how careful you are. Something unexpected can pop up, and you find yourself stranded on the side of the road. What do you do in such situations – Panic? No, keep calm and assess your options. We know these things happen – you’re driving as carefully and defensively as you possibly can then a driver from nowhere comes out and hits you. Ouch, it hurts, and you’re left with a fender bender or worse. What do you do? Calmly assess the situation and determine if your car is still drivable. If it isn’t, then you need to call a tow truck. Running out of gas can be embarrassing and stressful especially if you’re in the middle of nowhere or far from the nearest gas station. Calling a towing service like Unlimited Recovery can be your saving grace. Just inform them when you call that you ran out of gas, and they will bring you gas for a small fee. The car not starting is by far the top reason people hire a tow truck. If your car refuses to start due to mechanical failure the best you can do is get your car towed to your mechanic and have it checked out. Sometimes life takes on an unexpected turn and things happen. Yes, you may have done all you’re supposed to do – you checked the water level and all the other routine checks before driving off. But, the car overheated – don’t beat yourself up. Just call a towing service, they can add water to the radiator and assess if the car needs to be towed to a garage for an additional check. Tires do lose pressure with time. To avoid getting stranded on the road with a flat tire; it’s always recommended to check your tires’ pressure periodically and reflate when appropriate. However, if you find yourself with a flat tire and no spare, just call a tow truck to come to your aid. If you ever find yourself in any of the situations listed above and you’re within the Raleigh Triangle area, contact Unlimited Recovery and we’ll be right there to tow you to safety. Just call 919-790-9393. When it comes to towing, there are two scales; commercial towing and light-duty towing. Commercial towing is different from the lightweight towing. Commercial towing handles large scale towing projects that include heavy machinery, vehicles, and equipment. In general, due to obvious reasons, commercial towing is more expensive than the lightweight towing tasks. Lightweight towing involves handling relatively smaller vehicles such as passenger cars, SUVs, and small trucks. The equipment needed in lightweight towing is less complicated and less expensive. 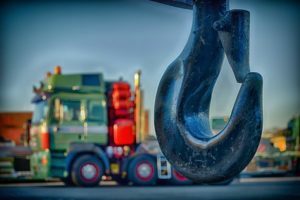 When it comes to commercial towing, however, it requires powerful machinery that can handle large amounts of weight. Compared to lightweight towing tasks, commercial towing demands a unique set of expertise from the operators. Every operator who handles commercial towing should possess an excellent knowledge of the functionality of the heavy engines and the specific connectivity strategies. Commercial towing industry demands highly skilled and experienced operators to handle their tasks. The cost of potential damages during a commercial towing job is much higher than with a light towing project. Since commercial towers handle large expensive machinery, the insurance coverage should be comprehensive enough to cover the costs that may incur during the towing process. In addition to the cargo, the insurance policy should cover any damages to the towing equipment and vehicles too. In general, lightweight towing involves short distance traveling; probably from one neighborhood to the other. The complexity of the overall task, therefore, is significantly less compared to commercial towing. When it comes to commercial towing, the job might demand traveling long distances. The towing vehicle may have to originate from a distant location to the venue and haul farther. Towing items like backhoe loaders, front loaders, excavators, dump trucks, etc. Now that you know commercial towing demands special skills, it is always good to hire an experienced, skilled and renowned vendor to carry out such tasks. Contact Unlimited Recovery at 919-790-9393 for all your towing needs. Car fluids are important for your vehicle to perform well and you must check all of them before taking off for a long trip. Remember to check your engine oil, gas, transmission fluid, radiator coolant, brake fluid, windshield washer fluid, and coolant and power steering fluid. The hoses and belts are crucial checkpoints as they hold almost everything together. If they are worn out and frayed, you should consider replacing them before you set off. If they are not tightly secured, you may have to walk the rest of the trip. Your tires are crucial for vehicle handling and safety. If they are damaged, there is no way your vehicle can move. Remember to check all the tires including the spare in the boot. Ensure that the vehicle treads are deep enough, the tire pressure is correct and the rims are well aligned. Also, carry tire-changing equipment in the trunk in case you need to change one along the way. Along with your tires, your braking system is also an important safety feature that should be checked before you start on your long journey. You should get your brakes checked by an expert inspector. Your brakes may have a problem if you notice any unusual squealing if the brake pedal becomes softer than usual. Although they say the more you drive, the more your battery is charged, once your battery is at its expiry it will be impossible to start your vehicle. Ensure that you check the condition of your battery and that it is properly charged. The electrical and ignition systems should also be in great condition. You’d certainly won’t like calling towing services in Raleigh NC to be a part of your itinerary, so do your homework. If you are going to be driving on hours on end, you need to know exactly where your next stops are going to be for refueling, bathroom breaks of even a power nap. Maps help you organize your journey so you can always keep your supplies in check. Also, carry extra fuses and oil just in case it takes a long while before you get to the next gas station. For reliable roadside emergency services in the Triangle area, get in touch with us here at Unlimited Recovery. The first point to remember is that you need to keep calm. If you panic, you might end up causing more damage, and you will not be able to brainstorm a solution. If the car is still moving, pull over and stop immediately. You should not continue driving after you have identified a fault with your car. This could worsen the damage, and you could get into an accident, damage other cars and hurt lives. If there is a signal where you are, you should call for help. You can call your auto service provider in Raleigh NC so that they can arrange on how your car will be fixed. You can also call the police if you don’t feel safe where you are. If you have friends and family nearby, you can also contact them so that they can pick you up and plan for your car to be repaired. 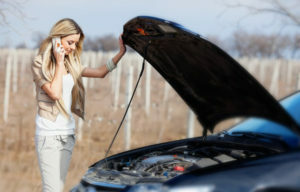 Always bring your cellphone along when you are on the road since you never know when a misfortune might strike. Learn more here. If you are in a remote area with no signal, consider asking for help from the passing motorists. They could help you to start your car, change tires or drive you to a nearby town where you can seek help. Every car owner on the road should have an emergency road kit. Some of the things that should be in the kit include coolant, bottled water, car oil, flashlight, pocket knife, screwdrivers, tire pressure gauge, washer fluid and jumper cables. You can either create your kit or buy an assembled one at the stores. After you have your kit, you should familiarize yourself with how the stuff in there works. When you are in an emergency circumstance, you can use this to fix the problem where you can. You also ought to have a first aid kit in your car. It can either be held separately or be part of the emergency car kit. If you feel pain or are hurt in an emergency situation, use the kit to do some first aid as you wait for help. There are ready first aid kits at the store, or you can make your own.